If the Palestinian Authority had advanced weapons, it would destroy Israel rather than negotiating, senior PA official Jibril Rajoub said recently, speaking to Lebanon’s Al-Mayadeen TV. The interview was translated and publicized by the Palestinian Media Watch organization. The TV host asked Rajoub if the PA intends to return to “the negotiations game.” Rajoub said negotiations would be considered only if the PA's preconditions are met, and added, “Listen. We as yet don't have a nuke, but I swear that if we had a nuke, we'd have used it this very morning." Rajoub is the Deputy Secretary of the Fatah Central Committee and chairman of the PA Olympic Committee. A second senior PA official, Sultan Abu al-Einein, was on PA TV recently expressing his support for the recent terrorist murder of Israeli man Evyatar Borovsky, Palestinian Media Watch reported. Al-Einein, who until recently served as one of Abbas’ senior advisors, praised the terrorist who murdered Borovsky. “We salute the heroic fighter, the self-sacrificing Salam al-Zaghal,” he said. "He insisted on defending his honor, so he went against the settler and killed him. Blessings to the breast that nursed Salam Al-Zaghal,” al-Einein added to applause from the audience. 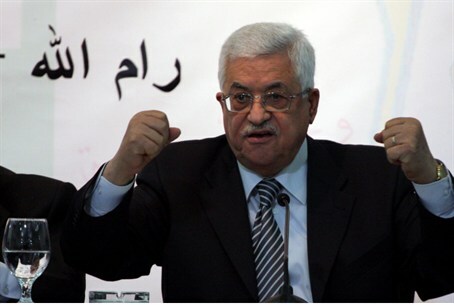 Shortly after the murder, Palestinian Media Watch revealed that PA Chairman Mahmoud Abbas’ Fatah faction had already praised the attack.